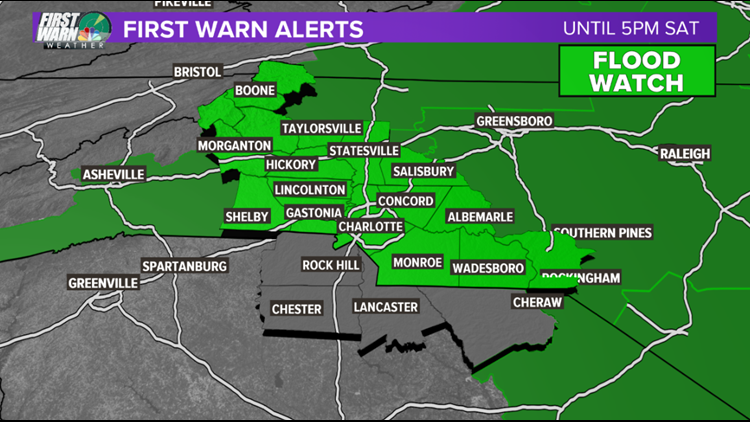 NBC Charlotte is tracking the threat of some heavy rain headed our way, which could result in some flooding for some parts of the Carolinas. NBC Charlotte is tracking the threat of some heavy which could result in some flooding for some parts of the Carolinas. First Warn chief meteorologist Brad Panovich said the storm system is bringing a lot of moisture with it. The combination of a lot of rain and melting snow in some areas can increase our risk of isolated flooding, according to Panovich. Panovich said, usually, if we get an inch or an inch and a half of rain, it's not a big issue, but with the recent snowfall, the additional moisture is going to cause significant flooding issues. On Tuesday, Gov. Roy Cooper said last week's winter storm claimed three lives, while one death was under investigation. The North Carolina Highway Patrol responded to 2,300 accidents and 5,800 calls for service. DOT focused on secondary roads and neighborhood roads. There were more than 12,000 power outages in the Carolinas as of Tuesday evening, according to Duke Energy. In Mecklenburg County, more than 1,500 customers were in the dark; complete restoration was expected by 5 p.m. Wednesday. 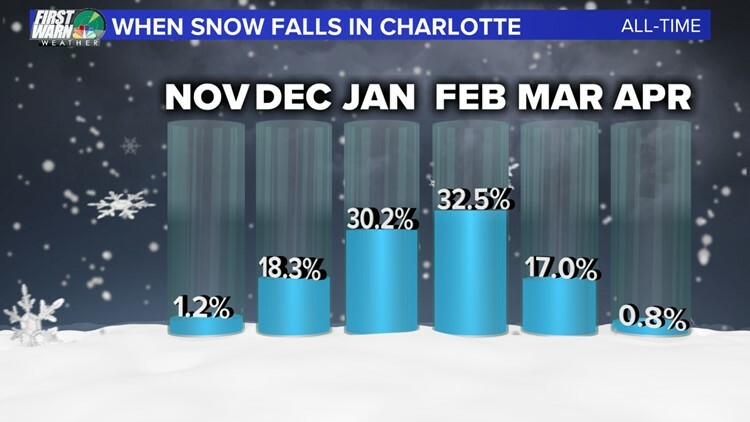 December snow in Charlotte has become very scarce. First Warn chief meteorologist Brad Panovich said this storm dumped 2.9" of snow, sleet making it the snowiest December since 1997. "Mt. 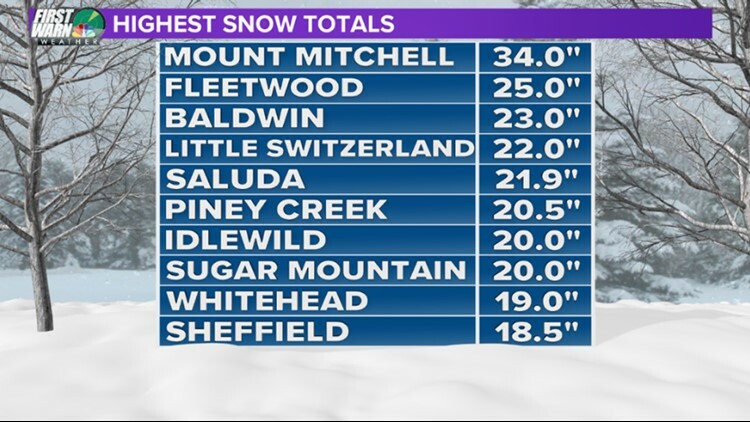 Mitchell wins for highest storm total of 34" of snowfall," said Panovich. Here are the snow totals. Wednesday should be mostly sunny and very chilly, with highs in the mid-40s across the region. It will be cloudy Thursday, with a slight chance of rain in the afternoon. Highs will again be in the mid-40s. The rain chance is around 30 percent.